Just as in other parts of the world (see here and here) South America’s glaciers are retreating. And, as in Asia, the retreat poses a threat to fresh-water supplies that humans depend on. Chile’s glaciers are on the retreat, a sign of global warming but also a threat to fresh water reserves at the southern end of South America, a report has found. The scientists who carried out the study had no doubt that global warming was a principal cause. The Chilean glaciers, located mostly in the remote flatlands of Patagonia, have receded by about 67 meters per year between 1986 and 2001 and by about 45 meters between 2001 and 2007, according to DGA. The Jorge Montt receded the most of all glaciers studied, by 11 kilometers (6.8 miles) in 21 years, a loss of 40 square kilometers (25 square miles). The San Rafael glacier in southern Chile lost 12 kilometers (7.45 miles) over 136 years. “The fact that the glaciers are receding is one of the most dramatic consequences of global warming, because that’s where climate change is most obvious,” glaciologist Andres Rivera of the Valdivia scientific studies institute (CECS) told AFP. One interesting aspect of the study was the comparison the scientists made between glaciers on more active and less active volcanoes. 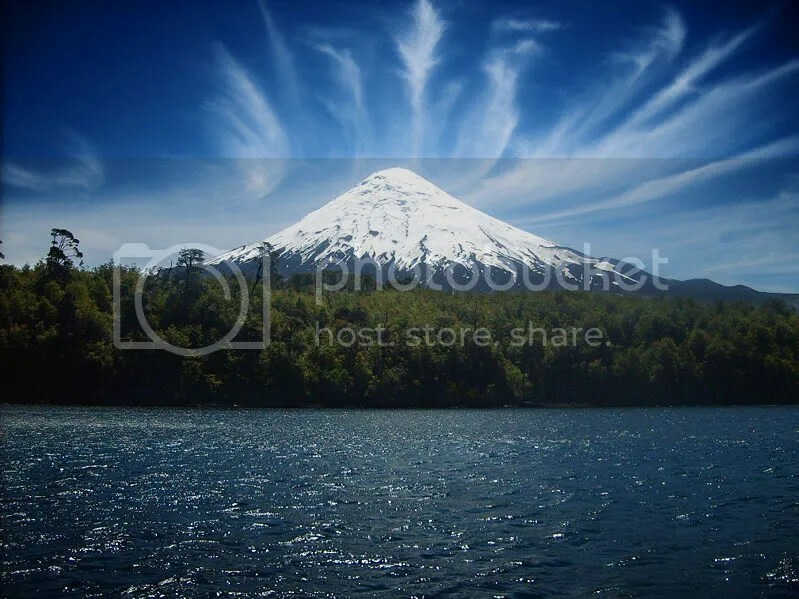 One of the volcanoes studied, Volcán Villarrica, is much more active than another, Volcán Mocho. To the researcher’s surprise the area change rate was faster on the less active volcano than on the more active one. The volumetric changes experienced in recent decades by the studied glaciers yielded similar values on both volcanoes, which is unexpected considering the much more active condition of Volcán Villarrica. Glaciers on active volcanoes are therefore shrinking mainly in response to climatic driving factors [emphasis–JR]. « Remarkable Change in Arctic Atmospheric Circulation: Have We Passed a Tipping Point? Thanks for the important article, any info on what % of the glaciers have melted, i.e. how long until the water supply is disrupted ? In Peru, temperature increases have led to a 22% reduction in the total area of its glaciers in the last 35 years.